Licensed Manager W/10 Rentals Available - 2/2 Villa - OCEANFRONT BEACH RESORT! 2 Bedrooms, 2 Baths, Poolfront Villa, Sleeps 6, Free Secure WiFi! This is just 1 of 10 different Licensed Key Largo Vacation Rentals that I manager for you to choose from. So if your dates are not available for this unit, go to the HomeAway home page and type in any one of the following listing numbers in the box "Where do you want to go". 119632, 130386, 132539, 354110, 3831245, 4179084, 4328627, 4328849, 4328851. If you want to experience the true meaning of a Key Largo Island vacation, then look no further than our spacious townhouse on the ocean side of the world famous Key Largo, Florida. ... The Dive Capital of the World! This Villa is located inside Kawama Yacht Club, a beautiful Hawaiian Island style resort that is situated along the southern border of John Pennekamp National Underwater Park. The grounds have over 30 lush tropically landscaped acres and it is the only resort in Key Largo that has a saltwater lagoon, a 400' fishing jetty and best of all a private oceanfront beach! In Fall 2016 we completed full renovations to the kitchen which include all new white Shaker style cabinets, all new kitchen appliances, new stainless steel undermount sink, and exotic Granite Counter top/back splash. Additional upgrades in Fall of 2018 include new Solid Wood dining set, new Natuzzi Leather Queen size Sleeper sofa, installed new Wood Floor Planks throughout the second floor area to include both bedrooms and new Modern Guest Bath/Shower. Also replaced all Master Bedroom furniture, New King Size bed and 45" HDTV. Some of the best known restaurants, dive shops, and snorkeling/deep sea fishing charters in all of the Keys can be found only minutes away from the resort. If you love adventure, natural beauty, or just relaxing on the beach while sipping a Piña Colada and gazing at a picturesque sunset, our townhouse in Key Largo is the ideal vacation destination for you! Typical Day At Kawama Yacht Club: Enjoy a relaxing swim off of our private white sandy beach, BBQ with family at one of our ocean front Tiki Huts, fish for tarpon, snapper or grouper off of the 400' jetty, sunbathe at one of our swimming pools, burn off some calories on our tennis courts, take the kids over to our brand new playground or maybe snorkel in our private saltwater lagoon and swim along side the dozens of exotic fish. These are just some of the activities you and your family can enjoy. During Peak Periods (12/20- 1/5) or (Feb 15 - April 20) All Reservations are typically based on Sat - Sat Stays. Golf Cart Available for Rent, Best Way to Get Around Resort: $20/day (3 day min) or $125/wk + tax. Pair of Kayaks Available for Rent, Best Way to Explore our Salt Water Lagoon: $20/day (3 day min) or $100/wk + tax. These are very popular items, so if interested make sure you ask to reserve at time of reservation. I have two other properties at this location so they are reserved on a first come first serve basis. Many of the most popular vacation rental websites have been infiltrated by more and more con artist that advertise properties and take payments/reservations for properties that do not exist. Also, many private owners throughout the keys are operating illegal vacation rentals in areas not zoned to allow for rentals of less than 28 days. This is an activity that the county is aggressively cracking down on for a variety of reasons. Owners that are caught by Code Enforcement face steep fines and are required to immediately stop advertising and cancel all of their reservations. So to insure you have the peace of mind in knowing that you are dealing with a legitimate vacation rental manager and will not become the next victim of internet fraud, finding yourself stranded in the keys without a place to stay or reserve from an owner that is running an illegal rental. It is imperative that you make sure the owner/manager you ultimately rent from is licensed by both Monroe County as well as The State of Florida Division of Hotels and Restaurants. Pest Control is one of my top priorities since all properties located in this tropical environment are vulnerable to becoming infested with roaches, ants, and spiders. Nothing will ruin a family vacation faster than having to share your unit with these unwelcome guests. That is why all my units are treated and inspected on a regular basis by a Professional Extermination Company. As a Miami resident for over 30 years, I have always enjoyed getting away to Key Largo for the fishing, boating, and relaxation that is unique to the area. Being able to share the Key Largo laid back life style with other families from all over the world has truly been one of the most gratifying experiences of my life. Over the years I have been able to meet so many people and share stories with them. They all seem to have the same things in common, they all love experiencing nature and the outdoors in a way that brings them closer together as a family. I am married to a very supportive wife Charlene and have two great kids, Sofia and Fernando Jr. They all love the outdoors just as much as dad. I am a Civil Engineer by trade, having worked for 11 years at a firm in Miami primarily in the areas of Land Development and Highway Design. In the mid 90's I began renting out my second home in Key Largo to generate extra income and as the saying goes 'The rest is history'. I still keep my Engineering License active (worked to hard to get it) and have since obtained my Real-estate License. 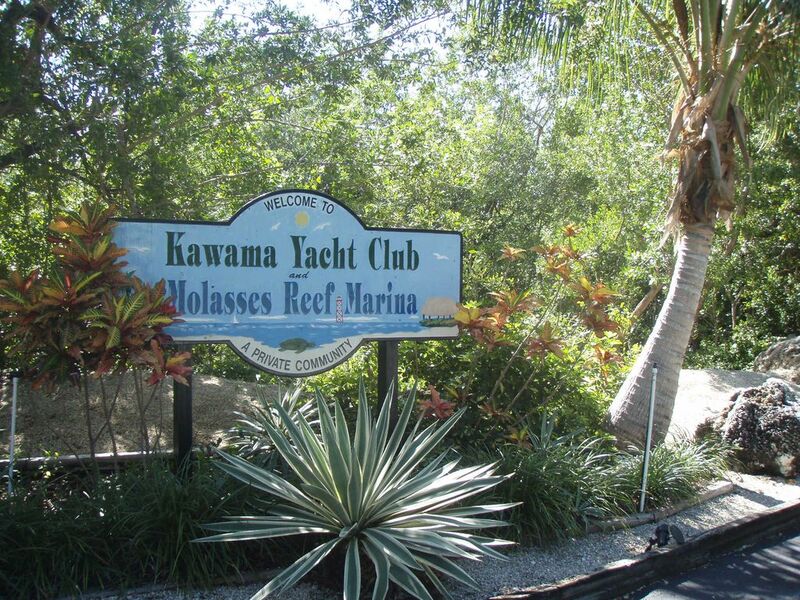 I am currently a member of the Key Largo Board of Realtors and I'm presently serving as President of the Kawama Yacht Club Board of Directors. The resort is located in the heart of Key Largo on the more desirable ocean side. It is close to a variety of shops, dining, and markets. The resort is located in the heart of Key Largo Close to shops and restaurants and the unit is located in the heart of the resort close to all the major amenities. Small swimming beach onsite, great for snorkeling. 3 TV's, one in each bedroom and one in the living room. Villa: Air-conditioning, 3 cable TV's, DVD, stereo/CD, fully equipped kitchen, microwave, dishwasher, washer/dryer, linens/towels, 2 large screened-in balconies (overlooking pool area), unique 15'x15' covered patio with BBQ, private sun deck and Free Secured WiFi. Onsite: 24-hour security, 30+ acre gated community, 2 heated pools, tennis courts, new playground, basketball, salt water lake with beach, marina with boat ramp, ocean side beach with tiki bar and BBQs, fish/snorkel/catch lobster from our 400' ocean side jetty. Nicely renovated condo. Clean, close to pool, lagoon, jetty and beach. Many activities nearby and friendly people on complex with activities. Would have loved to have stayed longer. Nearby activities include excellent fishing, snorkeling, kayaking, dining and happy hours. Even a movie theater if you have a rainy day. We had a wonderful chat with the owners of the place next door. In fact, everyone we encountered was friendly and helpful. Condo was great and Fernando answered our questions immediately. We enjoyed our stay. The condo itself was very nice, well kept. The location was great for our kids. The pool and sand playground were right behind the unit, literally just few steps from the patio. The pools, playground, and lagoon were nice and there is a large picnic shelter right behind the pool closest to the unit. The marina on the Kawama Yacht Club property was kind of run down, but I don't know since I haven't really been around an awful lot of marinas, so this could be the norm. The walkout was gorgeous with a beautiful view at sunset. Our biggest gripe was the beach. It was not accessible. The lower level where you should be able to access the water was completely covered in a very thick layer of sea weed, and had a putrid, sulfuric smell. If it weren't for the smell, we would have sat and just enjoyed the sand, beach chairs, "tiki huts," and beautiful views with the kids. We just could not take the smell, so we never went back after the first time. It kind of bummed us out. We really don't have any gripes about the unit and the owner was very, very easy to work with! Glad to hear your overall experience was a positive one. The marina is actually in very good shape. All the decks and pedestals were just replaced due to damage from hurricane Irma. The landscaping around it still needs to be brought up, maybe that was what you were referring to. This year the South East coast of Florida has had a record amount of seagrass drift in to our shore line. It is a temporary natural occurrence, typically in the summer months. Unfortunately, its sometimes impossible to fight mother nature. Very clean and secure unit. Great location, many choices for great seafood. Excellent instructions from our host Fernando made it super easy. Perhaps upgrade the towels is our only feedback. Thanks for a great time despite the rain.